Year after year, FDA EU and Pyrolysis regulations become stricter. To help the industry conform, Ammeraal Beltech supplies high-quality halogen-free and nitrogen-free non-toxic belts offering outstanding production performance for greater process reliability and increased throughput. 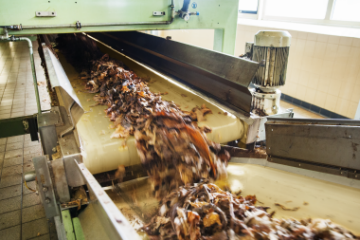 Primary processing belts need to be hard-wearing and highly resistant to casing and flavouring liquids. They should also be low noise, easy to clean and deliver a long service life. 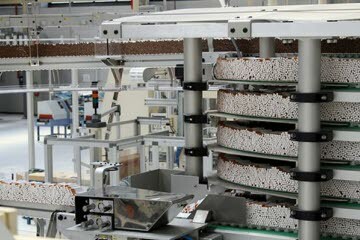 Secondary Manufacturing Processes for cigarette production require special belting properties. 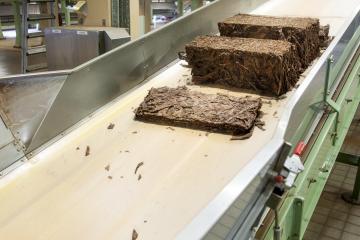 All applications with direct tobacco contact must have non-toxic solutions, while the transfer of cigarettes into packaging machines and of cigarette packets from bundlers / cartoners into case packers and palletizers require belts with low or high-grip properties. Ammeraal Beltech is a long-time partner to the Tobacco Industry, providing solutions that always meet the latest standards and requirements. 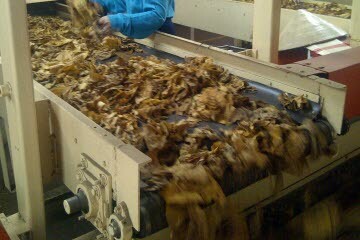 Our tobacco range belts are designed to improve your overall process performance!